Two PhD candidates at Princeton University seem to think so. FACEBOOK IS LIKE an infectious disease, experiencing a spike before its decline, according to US researchers who claim the social network will lose 80 per cent of users by 2017. They applied an epidemiological model to describe the dynamics of user activity of online social networks, using Google data that is publicly available. It will make uncomfortable reading for the social media giant co-founded by Mark Zuckerberg, which has more than 1.1 billion users around the globe and turns 10-years-old next month. 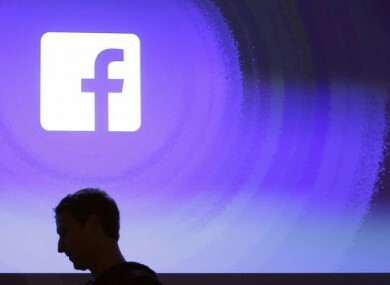 “Facebook is expected to undergo rapid decline in the upcoming years, shrinking to 20 per cent of its maximum size by December 2014,” said the report posted online to peers at ArXiv.org. Cannarella and Spechler do not wish to comment publicly in person until their manuscript had completed its peer review process ahead of formal publication. But at least for now, Facebook’s fortunes are in good health. Rising share prices have made chief operating officer Sheryl Sandberg the latest tech billionaire and Zuckerberg, 29, has a personal fortune estimated at about $19 billion. Email “Is Facebook an 'infectious disease that will die out'?”. Feedback on “Is Facebook an 'infectious disease that will die out'?”.